With the increasing large number of cloud users, the number of tasks is growing exponentially. Scheduling and balancing these tasks amongst different heterogeneous virtual machines (VMs) under constraints such as, low makespan, high resource utilization rate, low execution cost and low scheduling time, become NP-hard optimization problem. So, due to the inefficiency of heuristic algorithms, many meta-heuristic algorithms, such as particle swarm optimization (PSO) have been introduced to solve the said problem. However, these algorithms do not guarantee that the optimal solution can be found, if they are not combined with other heuristic or meta-heuristic algorithms. Further, these algorithms have high time complexity, making them less useful in realistic scenarios. To solve the said NP-problem effectively, we propose an efficient binary version of PSO algorithm with low time complexity and low cost for scheduling and balancing tasks in cloud computing. Specifically, we define an objective function which calculates the maximum completion time difference among heterogeneous VMs subject to updating and optimization constraints introduced in this paper. Then, we devise a particle position updating with respect to load balancing strategy. The experimental results show that the proposed algorithm achieves task scheduling and load balancing better than existing meta-heuristic and heuristic algorithms. This research was funded by the National Science and Technology Major Project of the Ministry of Science and Technology of China (2017ZX05019001-011), the National Natural Science Foundation of China (61772450), the China Postdoctoral Science Foundation (2018 M631764), Hebei Postdoctoral Research Program (B2018003009) and Doctoral Fund of Yanshan University (BL18003). Panda SK, Jana PK (2015) An efficient resource allocation algorithm for IaaS cloud, ACM/ 11th International Conference on Distributed Computing and Internet. Technology:351–355. https://doi.org/10.1007/978-3-319-14977-6_37. Shishira SR, Kandasamy A, Chandrasekaran K (2016) Survey on Meta heuristic optimization techniques in cloud computing, Intl. Conference on Advances in Computing, Communications and Informatics (ICACCI), IEEE, 1434–1440. https://doi.org/10.1109/ICACCI.2016.7732249. Roy S, Banerjee S, Chowdhury KR, Biswas (2017) U. 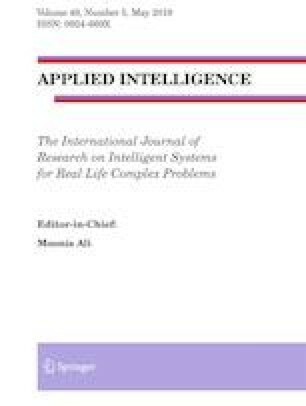 Development and analysis of a three phase cloudlet allocation algorithm, Journal of King Saud University - Computer and Information Sciences, 29:473–483. https://doi.org/10.1016/j.jksuci.2016.01.003 . Dasgupta K, Mandal B, Dutta P, Mandal JK, Dam S (2013) A Genetic algorithm (GA) based load balancing strategy for cloud computing, 1st International Conference on Computational Intelligence - Modeling Techniques and Applications (CIMTA), pp 340–347. https://doi.org/10.1016/j.protcy.2013.12.369. Pandey S, Wu L, Guru SM, Buyya R (2010) Particle swarm optimization-based heuristic for scheduling workflow applications in cloud computing environments, 24th IEEE International Conference on Advanced Information Networking and Applications, pp 400–407. https://doi.org/10.1109/AINA.2010.31. Valarmathi R, Sheela T (2017) A comprehensive survey on task scheduling for parallel workloads based on particle swarm optimization under cloud environment, 2nd Intl Conference on Computing and Communications Technologies (ICCCT), pp 81–86. https://doi.org/10.1109/ICCCT2.2017.7972253. Xu AQ, Yang Y, Mi ZQ, Xiong ZQ (2015) Task scheduling algorithm based on PSO in cloud environment, 12th Intl Conf on ubiquitous intelligence and computing. IEEE:1055–1061. https://doi.org/10.1109/UIC-ATC-ScalCom-CBDCom-IoP.2015.196. Xu J, Tang Y (2015) Improved particle optimization algorithm solving hadoop task scheduling problem, 2nd International Conference on Intelligent Computing and Cognitive Informatics, pp 11–14. https://doi.org/10.2991/icicci-15.2015.3. Kennedy J, Eberhart R (1997) A discrete binary version of the particle swarm algorithm, in: Proceedings of the IEEE International Conference on Computational Cybernetics and Simulation, 5:4104–4108. https://doi.org/10.1109/ICSMC.1997.637339. Khanesar MA, Teshnehlab M, Shoorehdeli MA (2007) A novel binary particle swarm optimization, Proceedings of the 16th Mediteranean conference on control & automation. IEEE:1–6. https://doi.org/10.1109/MED.2007.4433821. Abdi S, Motamedi SA, Sharifian S (2014) Task scheduling using modified PSO algorithm in cloud computing environment, International Conference on Machine Learning. Electrical and Mechanical Engineering:37–41. https://doi.org/10.15242/IIE.E0114078. Humane P, Varshapriya JN (2015) Simulation of cloud infrastructure using CloudSim simulator: a practical approach for researchers, International Conference on Smart Technologies and Management for Computing, Communication, Controls, Energy and Materials, pp 207–211. https://doi.org/10.1109/ICSTM.2015.7225415.